Congratulations to our Client WorryWoo Monsters for their feature and giveaway on Metro Detroit Mommy! Helping children understand and express their emotions can be a caregiver’s biggest challenge. Make the job easier with help from a WooryWoo Monster–loveable stuffed animals which show children that’s okay to feel the way they do. 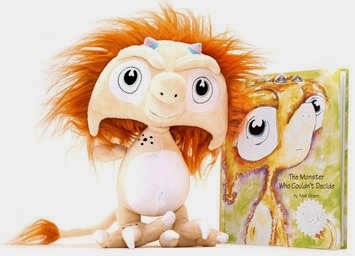 Through a line of plush toys and illustrated storybooks, as well as a partnership with renowned Australian child psychologist Dr. John Irvine, they’ve struck a chord with countless children around the world. Check them out at worrywoos.com and head on over to Metro Detroit Mommy to enter to win a WorryWoo of your choice.